Fishing is a great way to spend some time alone or with your family on vacation, especially if you own a paddle board. 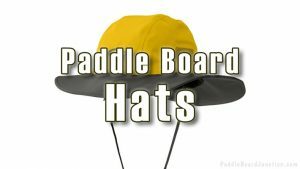 Paddle boards are big enough to hold a multitude of accessories, and accessories for fishing are no exception. 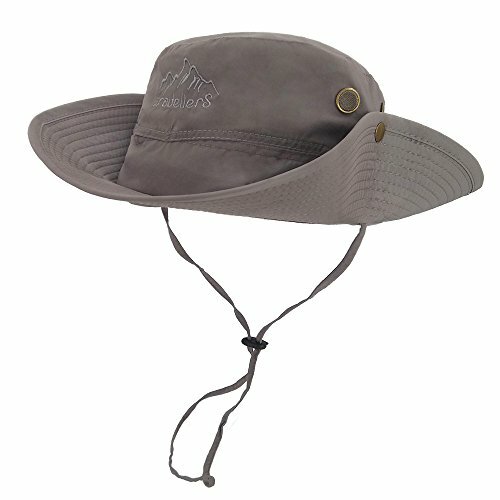 Don’t forget these items on your next SUP fishing trip! Besides life jackets or other safety floatation devices, there are many other different contraptions to consider when thinking about going on a fishing excursion with your board. 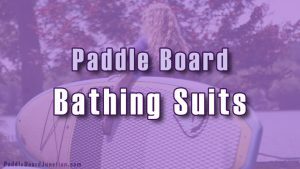 Standing up on your paddle board while fishing can get tiring after a while, and simply sitting on the board may be uncomfortable or awkward. 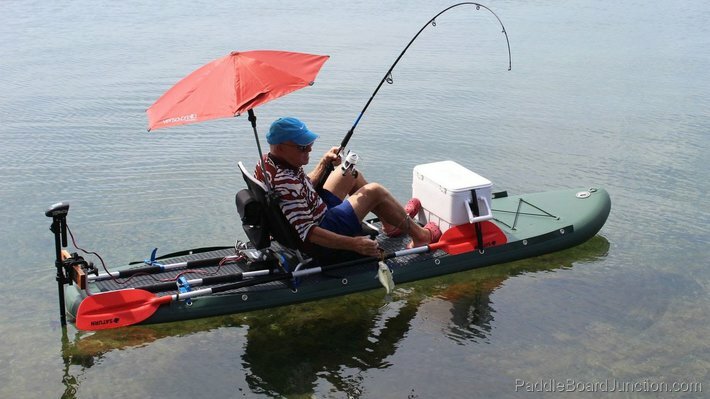 Don’t worry, there are SUP seats available for you to enjoy your fishing experience out on the water! Paddle board chairs are detachable and can come with cupholders and a lot of storage space for more accessories. During long days fishing out on the water, you can get incredibly thirsty. Staying hydrated is made easier with SUP coolers, which will keep your drinks cold and can even triple up as a seat and a dry box if you want! 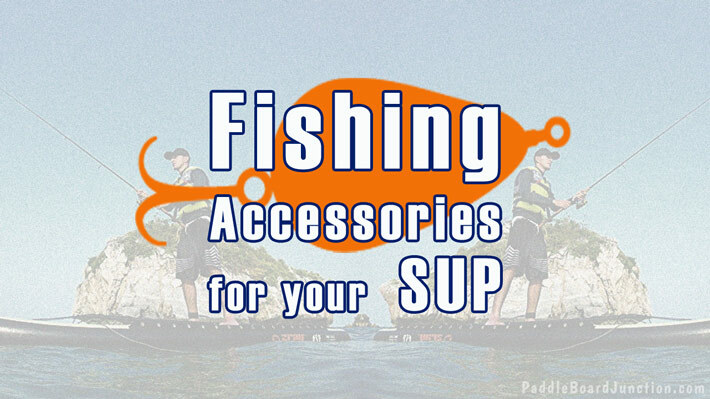 Some SUP coolers can come with rod holders as well, so you can keep your extra poles out of the way while you fish. 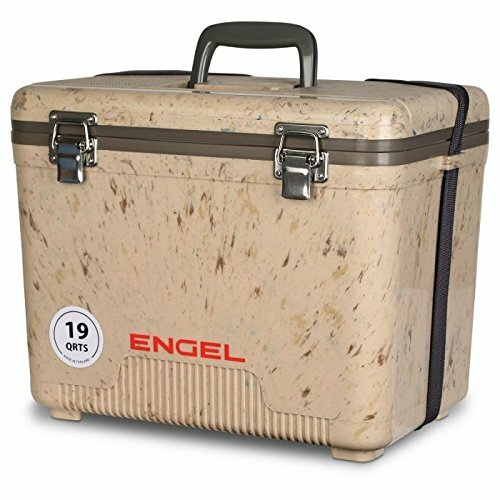 Another good idea is to use the cooler solely for fish, so you can bring home your catch of the day! Fishing in the middle of a lake on an SUP obviously poses some threats: any important items you have, like your phone, wallet, or keys, could fall in the water! 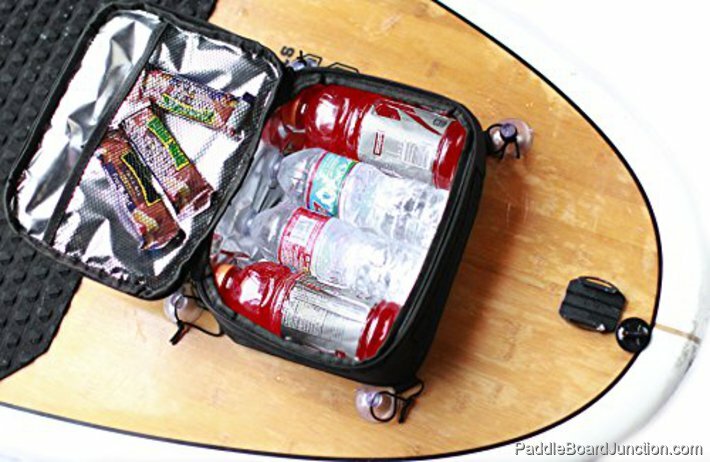 An essential accessory to have on your day trip is any kind of waterproof case or dry box, preferably one you can tie down to your board. A cooler can also double up as a dry box if you don’t put any ice in it. Waterproof cases can be hard boxes or bags that sling around your shoulders to keep important items close to you and dry! 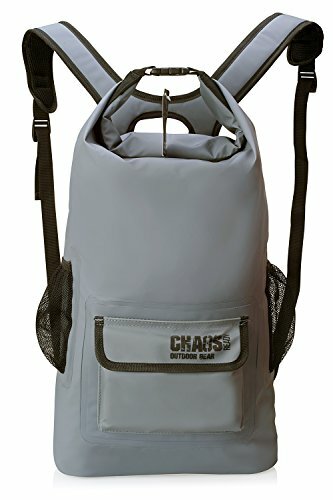 One good waterproof case brand is the Chums brand. 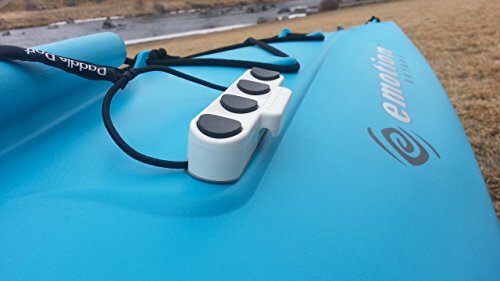 Tackle racks are a lightweight and portable option for holding your rods, paddles, backpacks, or other gear on your paddle board. 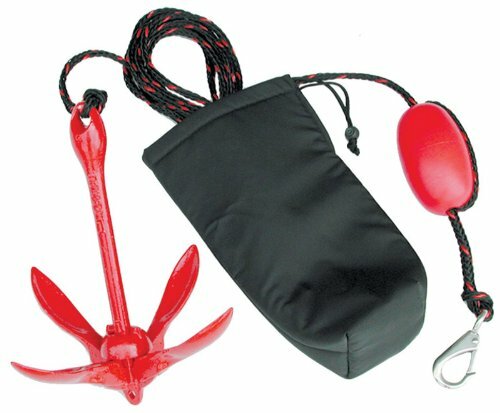 They attach to your board easily and keep your equipment out of the way while you fish. 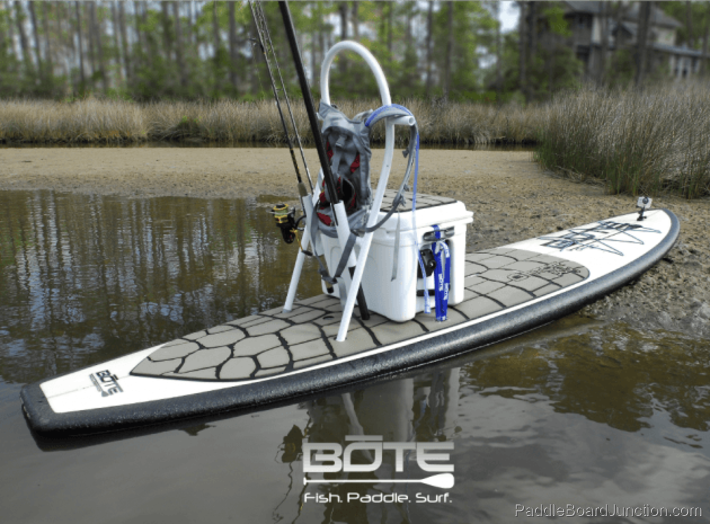 A good tackle rack to consider is the BOTE boards tackle rack, which holds a wide variety of fishing gear and accessories. You obviously won’t be using your paddle a lot while sitting stationary, fishing to your heart’s content. 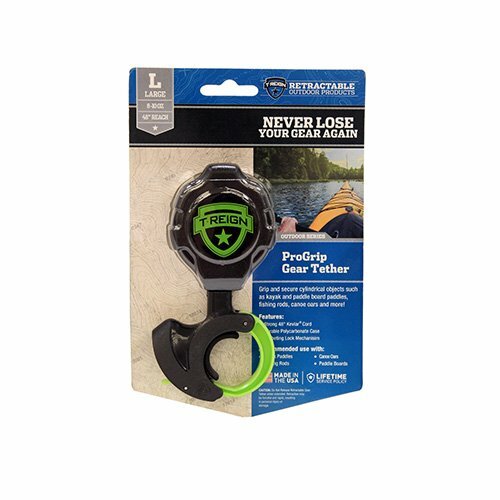 Paddle holders will keep your paddles out of the way while not interfering with the rest of your gear. If you don’t own a solid SUP and need some device to hold your paddles, simple detachable paddle holders can be found online or in stores. Nope, anchors aren’t just for holding boats in place. 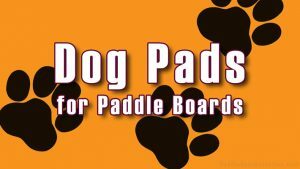 They can also stop your paddle board from drifting too much on the water while you fish! SUP anchors are definitely sold in stores and online or you can even make your own using simple materials. 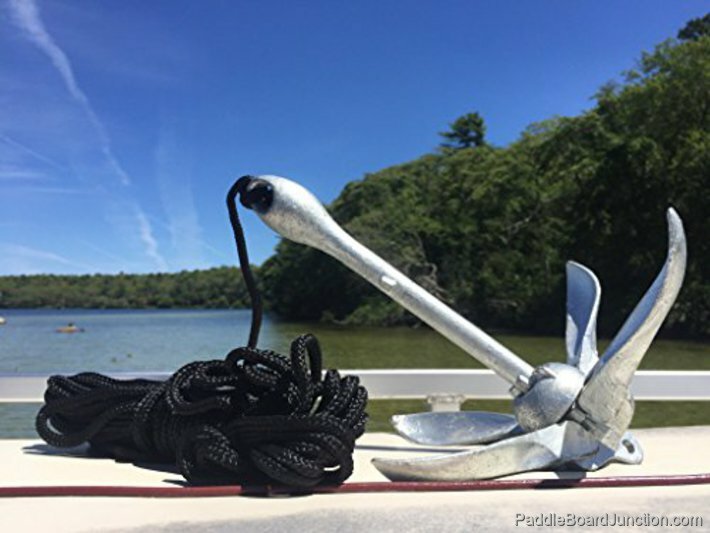 Check out this quick tutorial detailing how to make your own paddle board anchor! 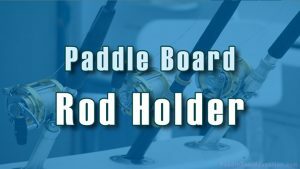 Rod holders can be equipped on coolers, tackle racks, or they can come on their own and attach to the front or rear of your board. Rod holders are convenient and essential for any fishing excursion because they keep your SUP clear of lines and hooks. 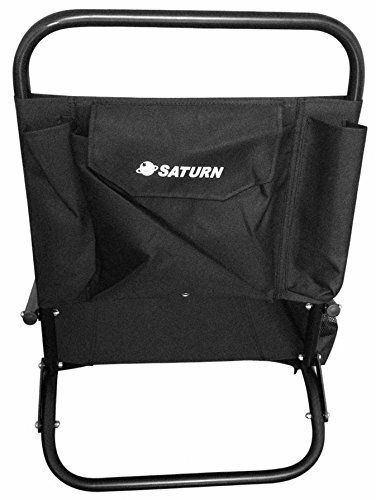 They prevent lines tangling and hooks snagging onto your clothes. On the other hand, cup holders are obviously good for holding drinks while you’re busy reeling in a huge fish. 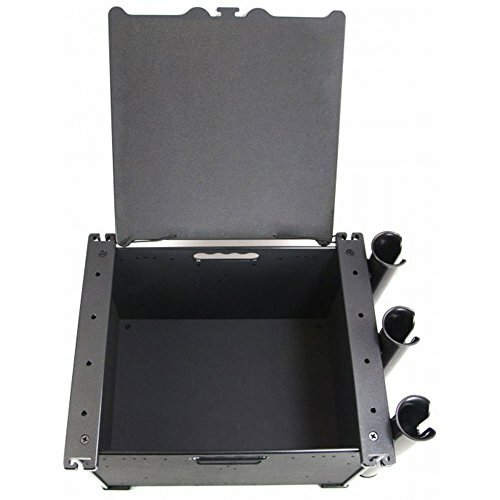 Cup holders, like rod holders, can come attached to other storage equipment like coolers. There are also individual cup holders that attach anywhere on your board. For beginner paddlers who just want to have a peaceful fishing experience, SUP stabilizers are optimum accessories for those of you who have trouble balancing on the board. Even for more experienced paddlers, it can be tough not falling in the water with the weight of all your fishing equipment on the board, so stabilizers are the way to go. 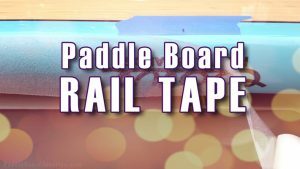 Stabilizers are like floats that go on either side of the middle of the board, attaching to the board by wrapping around and buckling. 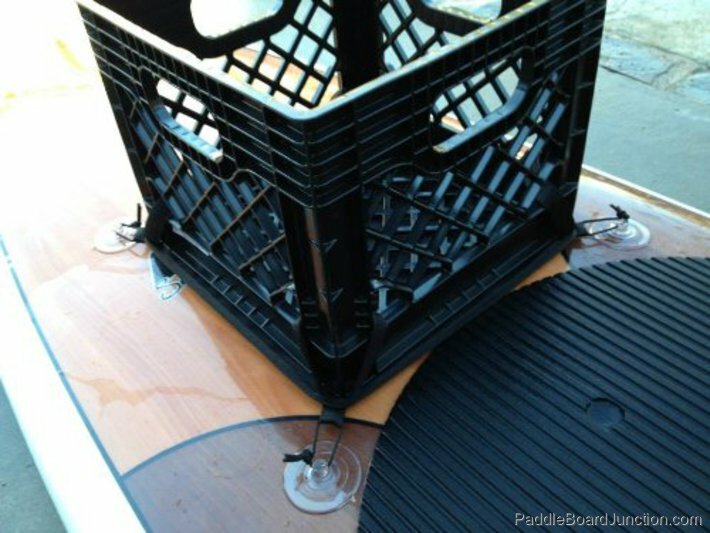 If you want a more simple and impromptu storage device for your fishing equipment and board paddles, a standard milk crate attached to your SUP with a crate pad is the way to go. Crate pads attach to the bottom of the milk crate and then attach to the board, therefore attaching the crate to the board. Throw all your fishing gear in the crate and you’re good to go! Good crate pads also come with four straps at each corner that wrap around fishing poles and keep them in place while in the crate. Sometimes, the best time to fish isn’t in broad daylight. Depending on where you are, the best time to fish might be in the wee hours of the morning or late at night, when it’s dark outside. You’ll be stuck in a bad situation if you’re out there in the dark with no light! 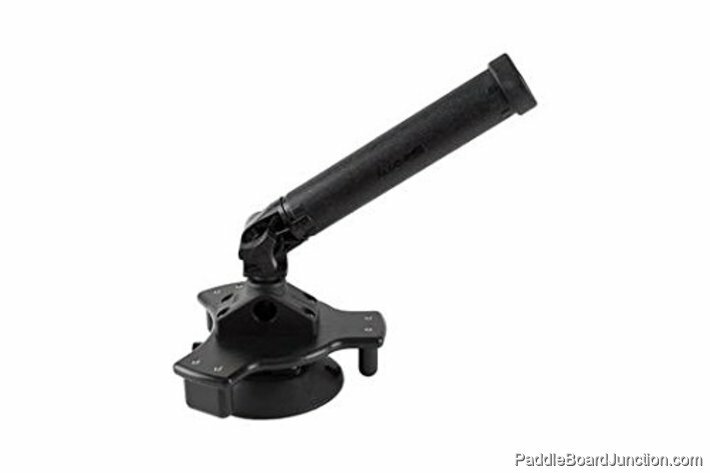 An essential accessory to have while night fishing is a board light, preferably one that attaches to your board. Board lights keep you safe in the dark, so you can see where you are and so you can be seen by other watercraft (motorboats and such). 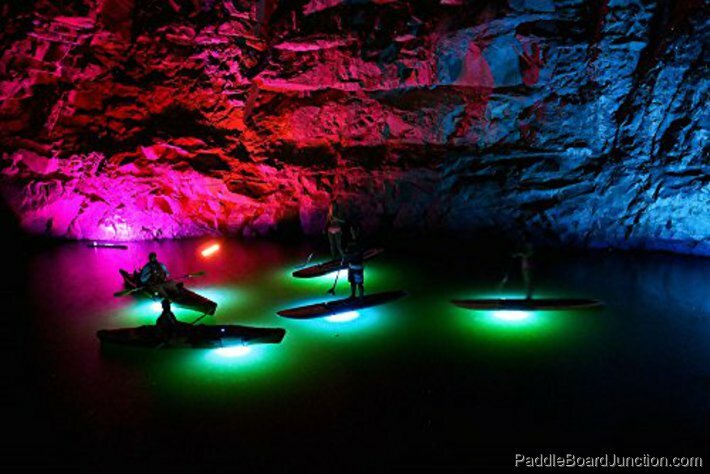 You can also go out and get a couple heavy-duty, waterproof flashlights and attach them to the front, rear, and sides of your board with a strong adhesive. Now you know that SUP boards can be rigged and transformed into a fishing raft in no time with the right materials. Hopefully these tips help you the next time you plan a fishing excursion with your SUP.